The aim of this website is to gather patient information for patients seeking information about different types of thyroid cancer into a single resource. Cancer is frightening, even if the outlook is good. Access to good quality information is crucial for patients to be able to make informed decisions about their treatment. The TCA is an international network of national thyroid cancer support organisations and/or thyroid support groups, dedicated to working together towards providing support, information and encouragement to those affected by the disease throughout the world. 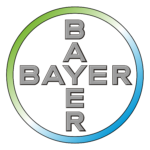 We are grateful to support from Bayer in making this website possible.